In 2009, design studio Form Us With Love created the luminaire called Ogle. There was a gap in the market for pendant spotlights that could be easily adjusted to direct the light. 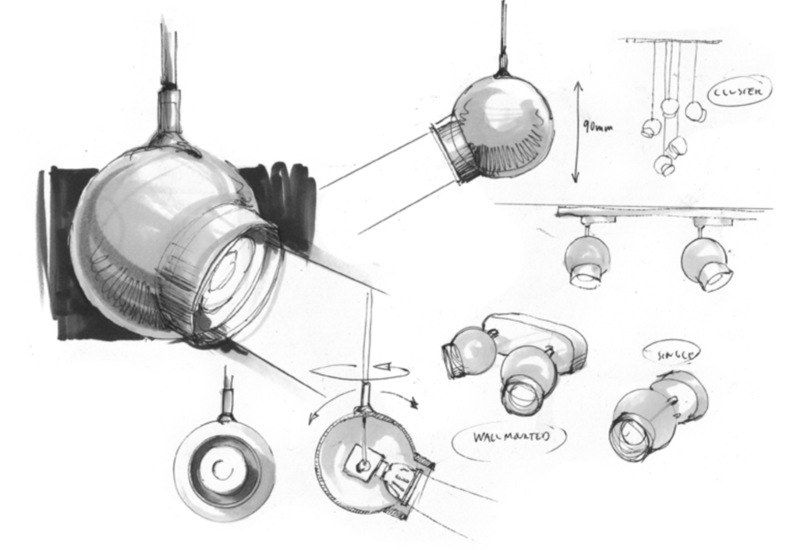 ”We wanted a lamp that looks good by itself but also among a group of lamps. “We wanted a luminaire that would work well as on its own as well as in a group. Since the luminaire has the functionality of a spotlight, we wanted it to work well as an added element to furniture and other lighting within a setting, but it must also work well in a group of many luminaires without being over expressive,” says John Löfgren from Form Us With Love. Ogle Mini is the latest addition to the Ogle series. A luminaire in pressed aluminium measuring no more than 90 mm in diameter. The luminaire is 360° adjustable and can be incrementally tilted up to 90°, which gives a very flexible lighting effect. Ogle is available as a pendant, ceiling, track, wall, table or floor light. Pendant, ceiling, track, wall, table or floor. Indoor only. Ogle is made in Åhus Sweden.